Do we do enough to support Wordpress Plugin Developers? Do we do enough to support Wordpress Plugin Developers? Do we do enough to support WordPress Plugin Developers? A while back the WordPress community use to be a bunch of coders that were all supporting themselves. One guy would create a nice plugin to manage most popular posts, another to manage social networking… Things were great and people helped each other. WOOHOO! 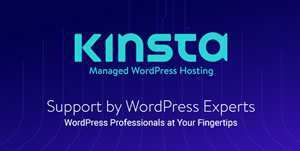 Although the golden years are now happening for the makers of WordPress (Automattic), the makers of the plugins and to a lesser extent themes are really the un-sung hero’s of the situation. 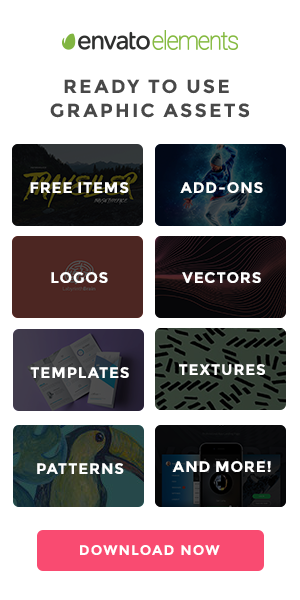 These guys and girls have spent in some occasions many months and lots of their own money on creating a theme or plugin that will really, really help you. Now that there are around 16million bloggers on WordPress.com and about 16million server installs of WordPress, plus the 30 odd million from Windows Live Spaces. All of this adds up to WordPress truly being the king of website creation tools. And this in part is half the problem. Now that there are around 60 million users, you can be sure that 58million of those users are not coders, developers or front-end people – they are people like my mum, my granny and girlfriend. They have all chosen WordPress because it is so easy to use, the same reason why I have chosen to use WordPress as the basis of every website I have made for around 2 years now and probably the same reason you have been using it. If my mum can use it, then anybody can use it, as a maker of websites this is a great source of confidence. Thanks to all of the plugin developers, WordPress and the odd free theme I am able to provide much more for the cash than I would have been able to do before. This has given me more time to get more clients that in turn will have a much more detailed and professional site. Sounds great doesn’t it? We make more money, and can create much more complex sites. But do we ever pay back the people that help us? I know from experience that No is the answer. Ask yourself, when was the last time that you donated to a plugin maker? Or do you sit there saying “plugin makers only do it to get notoriety and that payment is enough“. You may think I am being nasty with my user choices here, but this is experience talking here. When I first released Share and Follow (currently in the top 20 most popular plugins), I was lucky enough to have a few people make donations to the plugin. This was wonderful and made me want to do more to make the plugin better. However the more professional the plugin became the less I saw donations. In fact I got a lot of occasions where I was asked why I would need donations, or I would be asked if I could remove the donation button from the screen altogether so that they could sell it better to their clients. It seems that I am not alone. Other plugin developers are also feeling the pain of supporting so many users who are incapable of doing anything for themselves. There are a couple of posts from Alex King (developer of many of the early plugins for WordPress), Open Source Motivations & It’s Not About Money or Gratitude that really go into detail about this issue and the lack of donations that have been derived from the community, and a higher and higher level of support needed for all of the customers. So much so that he started up a side company just to deal with premium support which is a paid for effort. Others such as Dougal (one of the core developers of WordPress) or Deryk have openly stated that they have hardly if at all received a penny from donations for the plugin efforts that they have made, yet there is quite a few downloads and active users. Personally I feel sorry for some of the plugin makers, such as Alex Rabe who makes the NextGen Gallery, who gets so many support questions per day that to really maintain his plugin he would have to make it a full time job. There are 16 new threads started on the support forum today (2nd jan 2011) and the day is only half way through. All of these plugin makers also get requests for new functionality or for something to work slightly different for them than it currently does. Usually if these people making the requests were coders themselves they would be able to make the change and share it with the developer, or at least be able to resolve it themselves. However now that we have a different situation where the average user has no skills in that arena, there is a much heavier burden upon the plugin maker. 3. When we ask for changes or new features in a plugin, we also pledge a donation. 4. The plugin makers demand money for support or changes. 5. All plugins will find a way to monetize themselves usually by taking away functionality from the free versions to make it available in the Pro version only.